Macarena Vergara Coaching - Become who you are. Live from your power. Truth. Integrity. Joy. This is why I coach. For you to inhabit your self. To consciously connect to your strength. To live with passion and energy. From here, you can achieve anything. Coaching is focusing on you in the here and now, on your vision of who you want to be and what you want to do. I support you in gaining clarity and making your vision a reality, in getting you unstuck and going again, in making the changes you want for your life. Coaching is also space to breathe, listen, reflect and gain fresh perspective, a journey of growth. 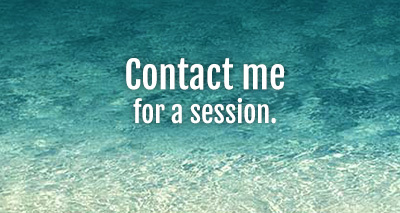 As your coach, I enable you to reconnect to your needs and to know yourself better. I encourage you to find your own voice and live a balanced, healthy and authentic life. 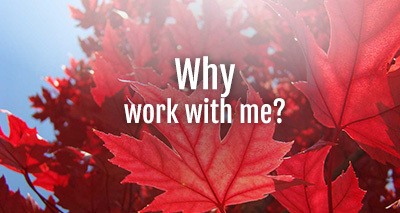 I provide the structure, the techniques, the support and the challenge and you come with your honesty and commitment to yourself and your potential. Coaching is not therapy: I don't diagnose or analyze you, and we don’t talk at length about the past, though we use emotional issues and difficulties as an opportunity for transformation. Coaching actually helps you take distance from your thoughts and emotions. And in this space, insights happen: your thinking improves, your feelings transform, and you can be more you. Through coaching you gain in clarity and confidence, make the best decisions, solve your dilemmas and fulfil goals big and small, ultimately transforming your life and work. Coaching is self-directed: I won't give you advice; you discover your own answers effortlessly! Coaching is about awareness, responsibility and choice. In fact, you will see that you are fully capable and you have access to all the internal resources you need for finding peace and achieving success, at all times. And this is the key to living your potential: together we uncover what is real in you, we give it power and you achieve the results you want from a place of trust and true connection to yourself. Several months ago I reached out to Macarena. I was at a low point in my life. I started my journey 3 years ago, after separating from my husband, raising 3 young children as a single mother and starting my own business. Macarena has honestly gone above & beyond my expectations. Thank you will never be enough. Macarena’s coaching has helped me so much, my relationships, my self belief, my confidence, and more importantly for helping me focus my energy on developing myself each day. Before I was sceptical with coaching in general but came a time in my life when I called Macarena. She has been an intuitive listener who helped me to transform my words and needs into positive actions. Things got organised. And then we travelled together and I reached a safe harbour where I can always come back, now on my own, every time I need. Before coaching I was in a dark and extremely confused place. Coaching allowed me to tackle my situations head on and helped me discover any underlying issues that had been brewing for years and needed attention. I learnt a lot about myself and about what I wanted in life and started to take actions towards a happier and healthier life. I am still learning but I feel more in control and I am working towards my bigger goals. Coaching taught me to be at peace with all of my emotions and has prepared me for what is to come in the future. 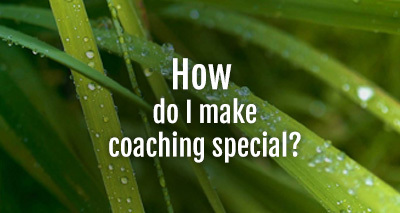 While with trepidation, at first, I found the coaching process very uplifting and eye-opening. I feel that there were always unanswered questions in my head that sat and to which I never found answers. But through Macarena's gentle but firm manner, I was able to answer all of them. A work in progress, but this coaching has laid a good foundation for a self-discovery process. I would love to come back to Macarena one day and go through the process again. Thank you, Macarena! I feel a deep sense of satisfaction that I have gone through a significant journey which has provided me with invaluable ‘tools’ to live my life more harmoniously. The major value for me was the shifting of attitudes and moving from a place of feeling de-motivated, stuck, in a rut and generally negative, to feeling more at peace and in harmony with where I am. Macarena is professional, focused and totally “there” without in any way being rigid, and has a wonderfully infectious warmth, energy and enthusiasm! The coaching with Macarena was a blessing and I now bear the fruits of it in my life. I am so grateful to her. She has been of tremendous help to connect with myself, learn about myself and progress in my transformation towards who I really am. Go for it, clearly you won't regret it. For years I've worked on overcoming personal blocks that prevented my life from progressing. In Macarena I've found a coach who listens, reflects, guides and supports with complete, unfaltering presence and care. Her superb coaching skills, combined with her intelligence and intuition are helping me shed long-held, unhelpful beliefs and habits. In this difficult task, she helps me keep my foot on the pedal to keep moving through this transformation. I can't thank her enough. Macarena has a lightness of being, transposed with a seriousness and professionalism that pushes to achieve only the best for her clients. She provides a safe environment in which to discover unwanted habits, blockages and barriers, and helps you discover ways to help heal, grow and become who you really want to be.... She will be your number one cheerleader in the process! I got so much more out of the coaching journey than I ever imagined and am so thankful that I discovered her. Thank you Macarena for giving me the space to discover and see myself in a completely new way! Macarena's warmth, compassion and enthusiasm, complemented by her razor-sharp insights and creative, holistic, skillful approach makes her incredibly good at what she does. Working with her has created this new space for me to really step into my life and do what I want to be doing. It's hard to explain how big a difference Macarena's coaching made to my life, my relationships, my self worth, my business... When comparing "before" and "after", I believe that it is a gift that everyone deserves. You don't know what you don't know, but digging deeper and looking at things in your life from an alternate perspective can mean the difference between existing or thriving. Macarena is someone I call on regularly to coach me through decisions or to help me find my centre whenever I lose it. I value her authenticity and her willingness to really hear me without judging or forcing anything. This creates a space in which I am able to find the insights and the renewed energy I am looking for. 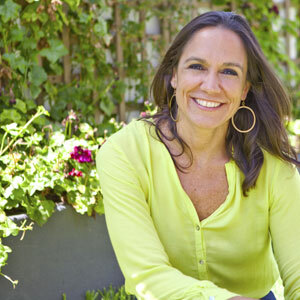 I started my coaching with Macarena [at a time when] I wanted to find direction in my business but my personal life kept creating obstacles that got in the way. My life changed: I released myself from a marriage that wasn't serving me, I continued with my studies, my career took off like a rocket, and my life is filled with bliss and joy. Macarena supported me in all the decisions I made and was a rock for me during those difficult times. Thank you Macarena for launching me into a new world filled with endless possibilities. My journey with you is priceless. I have experienced Macarena as a steel-clear, full-truthed, warm-hearted warrior of a coach. [She is ] a to-be-trusted professional coach with the ability to walk with you in a wide range of situations, who will support you but WILL NOT accommodate your self-sabotage or relentless empty talking in order to keep everything the same. If you chose to be coached by her be ready to start changing for real. We usually start by exploring the areas you want to make changes in. Concrete, inspiring objectives start emerging from our explorations, and we then focus on them through action: testing out how you are and the way you do things, in the real world. In action is how you transform, and we work together to make those changes sustainable and long-lasting. We work through a blended approach of live calls and e-coaching. 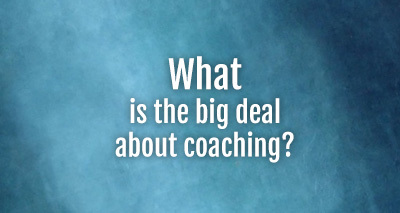 The length of our coaching will depend on how big your goals are! Through deep listening, powerful questions and awareness techniques, I stretch you to think, feel and act in ways that connect and re-energize you. I keep you motivated and focused, and you do what you need to do, every week, to bring yourself closer to your goals. My motto is ‘Become who you are. Live from your power’: the more we know our truth and the more we inhabit ourselves with integrity, the stronger and freer we are to live as ourselves and achieve our purpose. This is why I work with both neuroscience (results and goals) and mindfulness (self-awareness and presence) based approaches, using the power of e-coaching for deep, rapid and impactful change. And because coaching is a journey of growth, you learn to deal with ingrained resistances and transform habits of thought and behaviour, you become emotionally literate and transform how you relate to your world. My first love was international development, and for over 15 years I worked for international aid agencies, consulting companies and non-profits, dealing with big global issues of poverty, inequality, health and rights. With Master's degrees in Development Economics and in Reproductive and Sexual Health Research, I have taken very seriously my training in the economic, political, social and public health aspects of human development. But life has a way of teaching us its own lessons too - and after some painful life experiences and a rewarding internal journey, I added the personal dimension to my lifelong learning of what it means to be fully human. I read, I inquired, I listened to myself and others, I also studied yoga in depth, for years. I was eventually also coached, and being a pragmatist at heart, I resonated with the very tangible clarity and forward energy that coaching brought me. I understood three things, that still drive me today: striving to know myself is the first step towards living the life I want; assuming responsibility for my own growth liberates me; achieving coherence of body, mind and soul is key to being in my power. I wanted to contribute to people’s lives with what I knew. I wanted a straightforward and great tool to do this, and I trained professionally as a Coach. I am now dedicated to supporting leaders and teams to develop this self-awareness, take on the responsibility for their own internal coherence and growth, and achieve their goals from a place of integrity and consciousness, empowerment and agency. I do this through leadership coaching, training, facilitation and speaking engagements. Neural integration for wellbeing and harmony – It’s all connected!